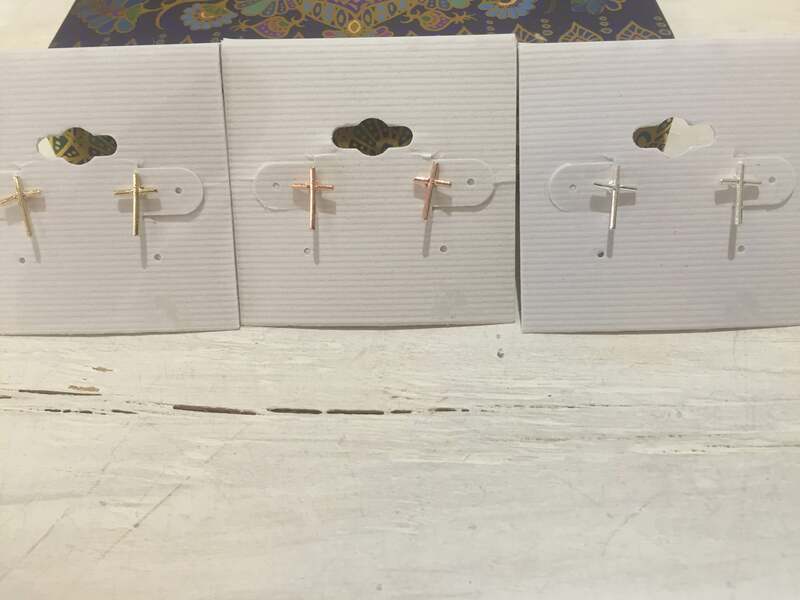 Cutest mini cross stud earrings. 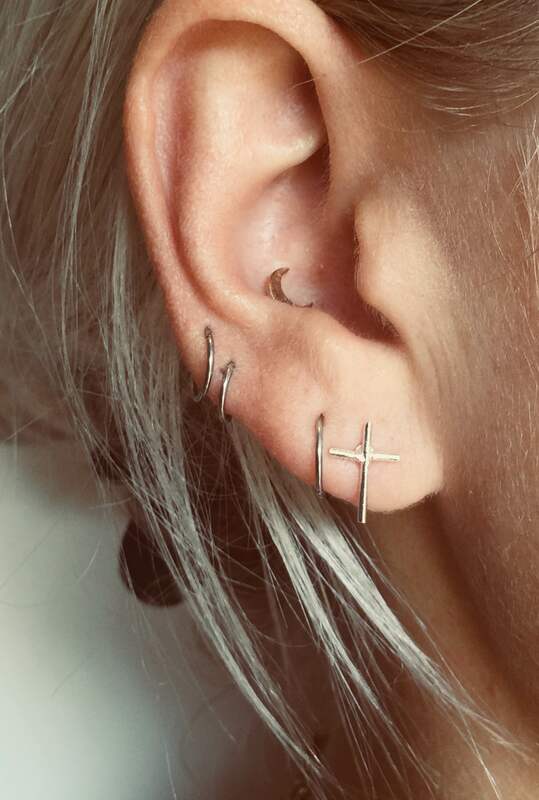 We love these not only worn as a pair but singularly as one styled with a mix and match of our suspender earring and thread chain earring. 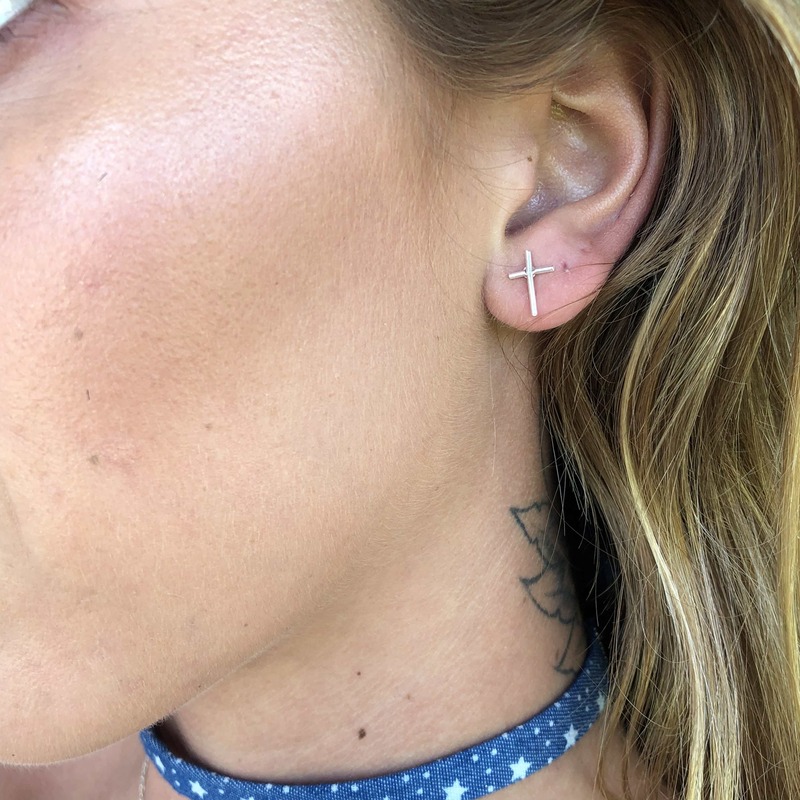 So many options to style these babies! 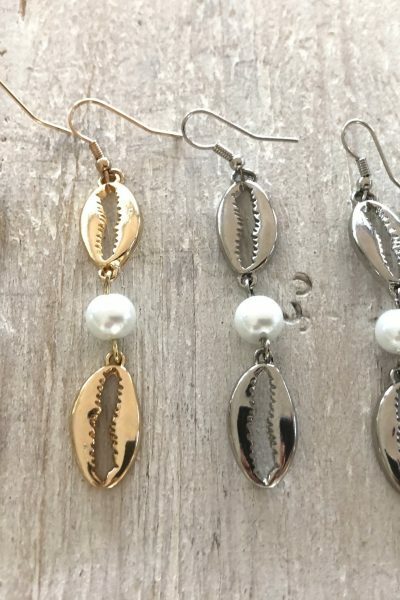 Why not style them with the large Xtina earrings.